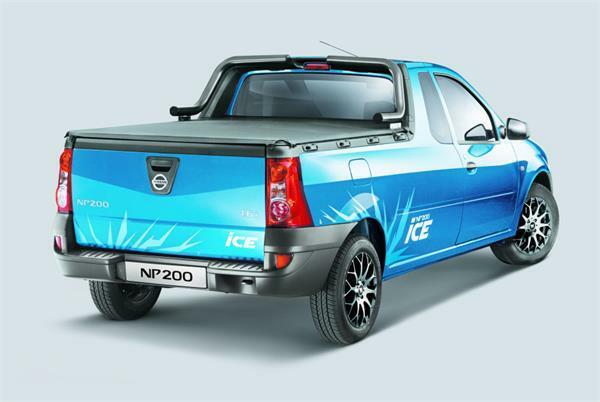 Nissan South Africa has launched a new special edition model - the Nissan NP200 ICE. The NP200 ICE half-tonne pick-up is built at the Rosslyn facility to date, and is essentially a badge-engineered Dacia Logan pickup. The Nissan NP200 ICE can be had in Starline Blue or Bright Silver body colour. 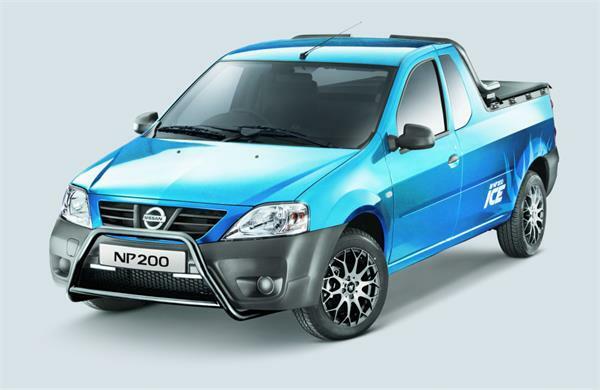 The Nissan NP200 ICE can be had in Starline Blue or Bright Silver colours. Besides their popularity, these colours were chosen also for the way the ICE decals, brushed aluminium fittings and dark tinted windows are contrasted. Exterior equipment highlights are the daytime running lights, unique, custom-designed 15-inch alloy wheels, special aluminium nudge bar with a brushed finish and an aluminium sports bar with brushed finish. The cargo area is rubberised to protect against water corrosion, impact and abrasive damage from certain loads. Inside, the special edition bakkie features eco-combination leather upholstery, rubber carpets and special entertainment system with Bluetooth (phone & audio) and USB connectivity. Two airbags and ABS are standard. The Nissan NP200 ICE is available with a 64 kW (85.79 hp) 1.6-litre petrol engine and a 63 kW (84.45 hp) 1.5-litre diesel engine. The Nissan NP200 ICE is available with a 1.6-litre petrol engine that produces 64 kW (85.79 hp) and 128 Nm of torque and a 1.5-litre diesel engine that develops 63 kW (84.45 hp) and 200 Nm of torque. The fuel economy figure of the NP200 ICE is 12.35 km/l with the petrol engine and 18.87 km/l with the diesel engine. The special edition is now on sale at dealerships.